Officials at the signing ceremony in Jeddah. Saudi-based Jamjoom Pharma has signed an agreement with King Abdullah Economic City (KAEC) to build a specialised hospital on a 100,000-sq-m of land within its facility. Initially the hospital comprises 150 beds, expandable to 500 beds upon completion of the remaining development phases, said a statement from KAEC. "We are honoured that our partners Jamjoom Pharma chose to build the hospital in KAEC. 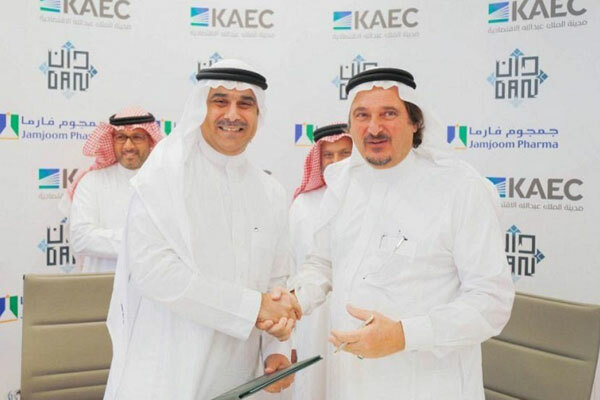 Their decision to do so stems from their confidence in the city’s status, its ambitious future, and its strategic location which connects it to all western province cities in under an hour," remarked KAEC Group CEO Ahmed Linjawy. "This is in addition to the city’s prominent role in realising Vision 2030 through having all the components for an ideal quality of life, as well as the attractive and competitive environment provided by the city for its variety of investors and the ease of conducting business in KAEC," he stated. Mazen Tammar, the chief healthcare and education officer at KAEC, said the new hospital would be a key addition to its healthcare services system currently provided through the Family Medical Centre. "Together they will offer a complete spectrum of healthcare services providing one-of-a-kind medical and rehabilitation services," he noted. Tammar said the healthcare unit of KAEC aims to become one of the leading regional healthcare destinations for specialised treatments, located in a modern residential environment complete with world class social, sports, and educational facilities. "The new hospital will employ the highest international quality standards through being managed by a global operator in order to benefit from international expertise and the transfer of the latest healthcare technologies to Saudi Arabia," he noted.